Product #46647 | SKU 15010 | 0.0 (no ratings yet) Thanks for your rating! 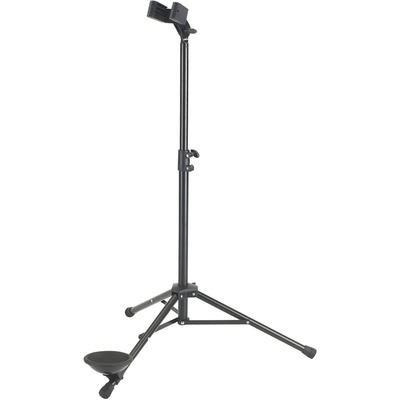 The K&M Bassoon Stand (Black ) features a rugged steel construction and felt-lined instrument support, and can be used to hold your bassoon, bass clarinet, or Eb alto clarinet. Tube legs with cross braces and a 31.496" (799mm) base along with a large rubber-coated support cup offers improved stability. The width of the support bracket can be adjusted from 2.244 to 3.425" (55.8 to 86.3mm), while its height from 27.5 to 47.2" (700 to 1200mm).